Authentic Mexican style salsa made in Texas! Certified Paleo. No added water, sugar or preservatives. tomatoes, serrano peppers, salt, garlic, apple cider vinegar and black pepper. Pure and simple ingredients are the foundation of our authenic Mexican style salsas. We combine fresh vegetables and Serrano peppers, fire roasted over a grill to create a smoky, robust flavor that is incredibly fresh tasting. Try it straight from the jar, heated or added into your favorite dishes. These great tasting salsas are made from pure and simple ingredients. 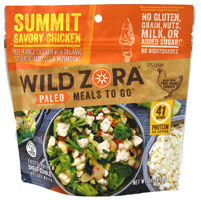 We try to always have some on hand as a staple to enhance any fast & easy paleo meal or for snack time.